Julia Allely is a Director and Solicitor at Wright Solicitors. She is a member of the Children's Panel. 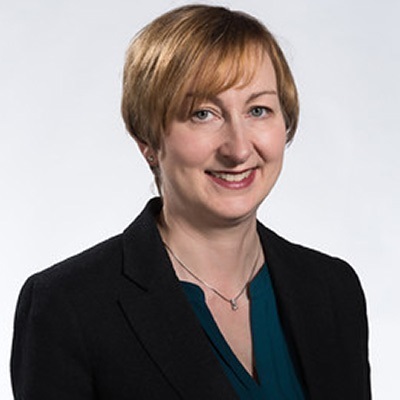 Julia specialises in all aspects of law concerning children, particularly public law proceedings, where Social Services have become involved in a family's life. She deals with care proceedings, Emergency Protection Orders, Placement applications, adoption and Special Guardianship orders. She generally acts either for the parents of the children or the children themselves, but also acts for Grandparents or other relatives wanting to be part of the proceedings. In addition, she acts in complex contact/ residence disputes normally for the child where the court has made the child a party and has appointed a Guardian to look after their interests. Julia is frequently involved in cases concerning allegations of physical and sexual abuse, neglect and drug and alcohol misuse. Julia also deals with cases involving non-accidental injuries which require the management of complex, expert medical or extensive factual evidence. Outside of work Julia is a keen hill walker and gardener. "We want to thank you so very much for all your hard work and support you gave us for making it possible for us to adopt our daughter." "Thank you for representing me ... your guidance and compassion was appreciated." "Thank you for everything you have done for me in the case against social services ... I thank you from the bottom of my heart"
To instruct Julia on your case, please call 01384 255344.